So, I never win anything. Ever. I'm like, immune to winning. I'll win things once in a while if there are, like, nine applicants. So this week has been a crazy surprise! Not only did I win SimonTEEN's 31 Days giveaway (I got a copy of The Story of Us by Deb Caletti that will be in the mail soon!) but I also got several amazing things in the mail. 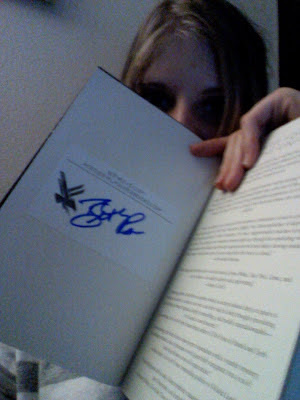 First there's a cool Beth Revis signed bookplate for my new copy of Across the Universe, which came with some awesome bookmarks that I am now using in my copy of Perks of Being a Wallflower. 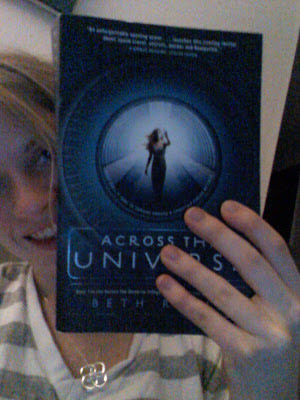 Okay, I guess I didn't win that, but Beth Revis is just awesome enough that she sends them out for free to fans! 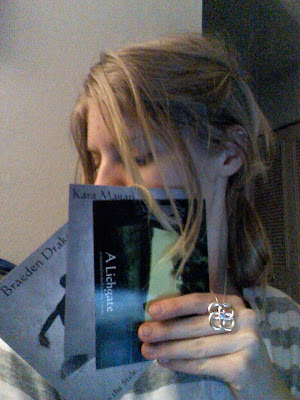 Look at the awesome bookmarks! Oh hey, there's my new book that I really really want to read right now only I have 5,001 things to read (including, ya know, my homework...). Book plate affixed! I put it on a blank page up front because I just couldn't cover up all the beautiful inside-cover art. BUT THAT WASN'T EVEN IT! I don't know if you've read Lichgates or Treason by S.M. Boyce (click the titles for my reviews! ), but you should. They're amazing. And because I'm obsessed with them and obsessively do stuff related to Boyce's street team, I won my choice of a prize in one of her very frequent giveaways! I was hankering for a signed book but I just couldn't say no to a beautiful shiny replica of Kara's Grimoire pendant, so that won. Look how pretty it is! 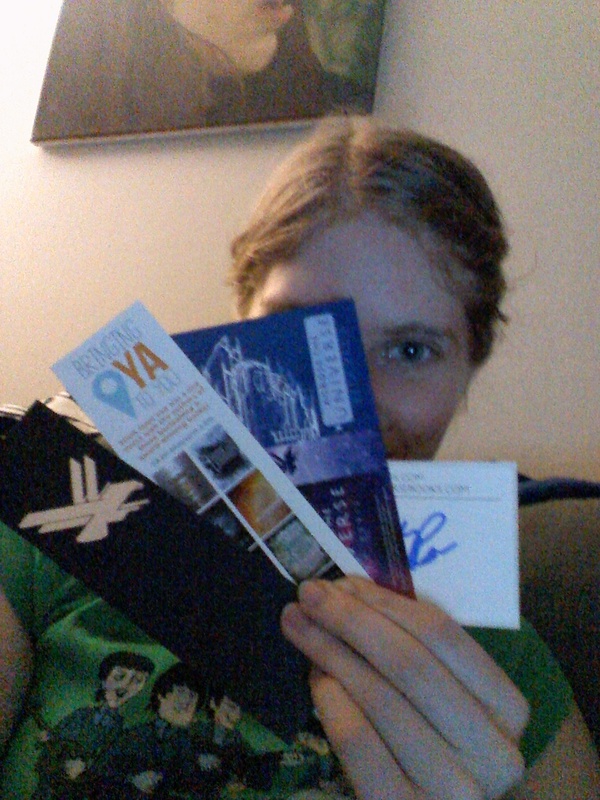 And it came with surprise art cards and TWO PENS (not pictured). Look at the pendant! Isn't it gorgeous? You can get it with a blue stone too (for when it's activated!). I wore mine to school today and felt all hipstery cool. So, yes. Authors who give back are amazing. Because, hey. We're out there slaving to buy and review the books. We worship and drool over them. So it's nice to get some acknowledgement, whether it's just a reply to a tweet, a signed bookmark, or even something unique and snazzy like a themed pendant! I can only hope that one day, I sell a book and have enough time and money to give away a LOT of stuff. Because some day,I'd love to read posts like this. And in case you doubted the size of my TBR pile.... Note: This does not include Kindle books or the dozen or so books currently lining the floor of my bedroom. Look for a review of Drain You by M. Beth Bloom soon! Congratulations! Gorgeous pendant, and so much cool swag! 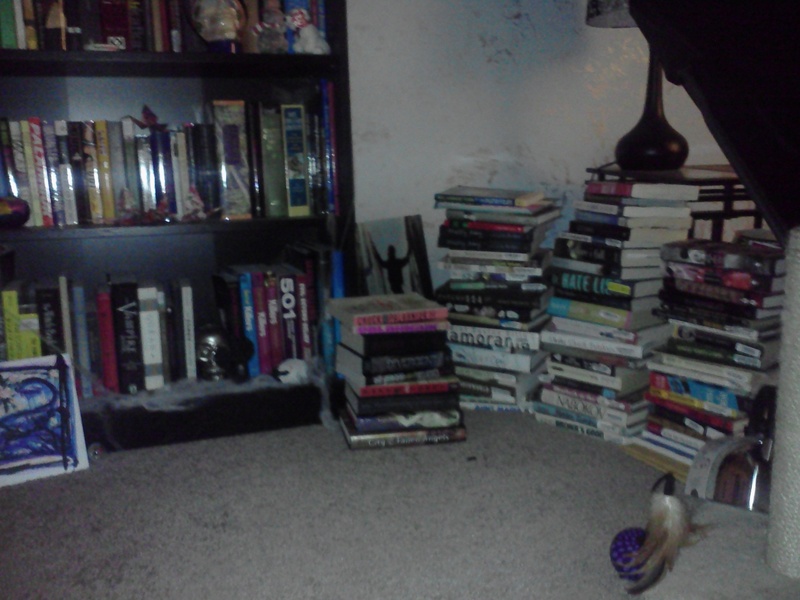 Your TBR pile is pretty impressive, and I think you're right and that it's slowly taking over your floor. I'm pretty sure my TBR pile breeds at night, because it keeps growing! Thanks! Ha, I'm going to need another apartment just for books soon. I think you're right about the breeding things. Congrats on your wins & your TBR looks menacing! Good luck!